On June 5, 2009, Sanofi-Aventis Utility Plant Separation project was honored with an Outstanding Mechanical Installation (OMI) award by the Mechanical Contractors Association of Kansas City. MMC Contractors performed mechanical services for Sanofi-Aventis. On February 23, 2009, the National Safety Council notified Midwest that we had successfully met the criteria for the Occupational Excellence Achievement Award. On February 17, 2009 The Builders' Association notified MMC Contractors that we had successfully met the eligibility achievements of the U.S. Department of Labor - Occupational Safety and Health Administration (OSHA) Build Safe Partnership Program (BSPP). 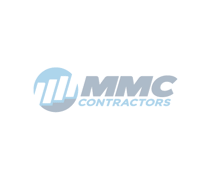 On December 4th, Plumbing & Mechanical Magazine presented a plaque to MMC Contractors for being named "2009 Best National Contractor to Work For."